AL_LinestCW: Weighted and constrained linear least squares fit. AL_FitPolyCW Weighted and constrained polynomial least squares fit. AL-Spline-Matrix03.zip or AL-Spline-Matrix07.zip (recommended version for anyone running XL 2007 or later). 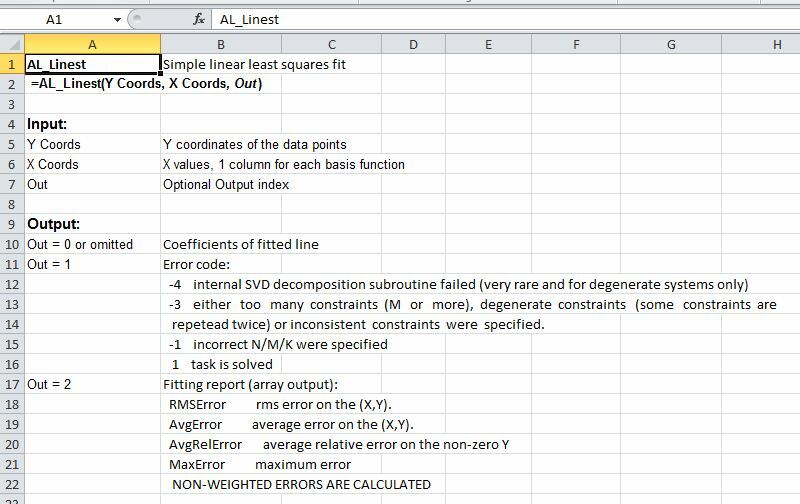 AL_LinestCW allows weighted and constrained linear least squares fitting. 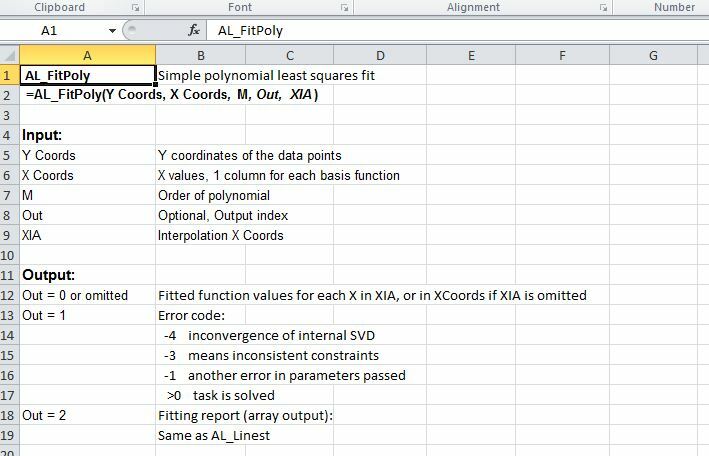 AL_Polyfit and AL_PolyfitCW are specifically written to fit a polynomial function of any order, and appear to be much more stable with high order polynomial functions than any of the built-in methods in Excel. 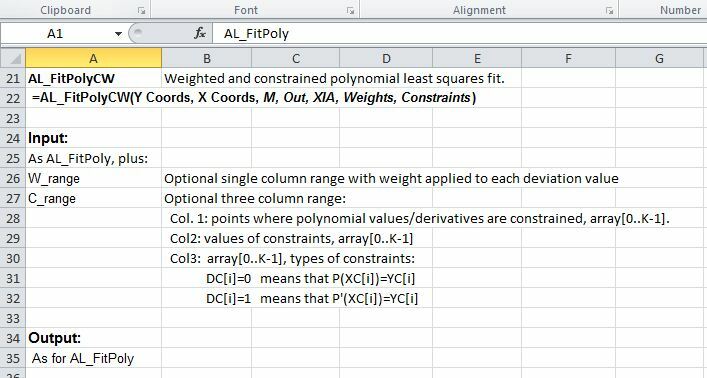 In addition AL_PolyfitCW allows constrained and weighted fitting. The current VBA version of ALGLIB returns the polynomial data in barycentric form, rather than polynomial coefficients, and the Excel UDF converts this to interpolated function values using the ALGLIB BarycentricCalc function. The latest version of the library (3.2) will also return the polynomial coefficients, but this version has yet to be released in VBA. All versions of the ALGLIB library may be freely downloaded from the ALGLIB site. This entry was posted in AlgLib, Excel, Maths, Newton, UDFs, VBA and tagged AlgLib, Excel, least squares, Linest, Polyfit, UDF, VBA. Bookmark the permalink.